Toss carrots with 2 tablespoons olive oil, cumin seeds, and sea salt. Coat grapes in 1 tablespoon oil. 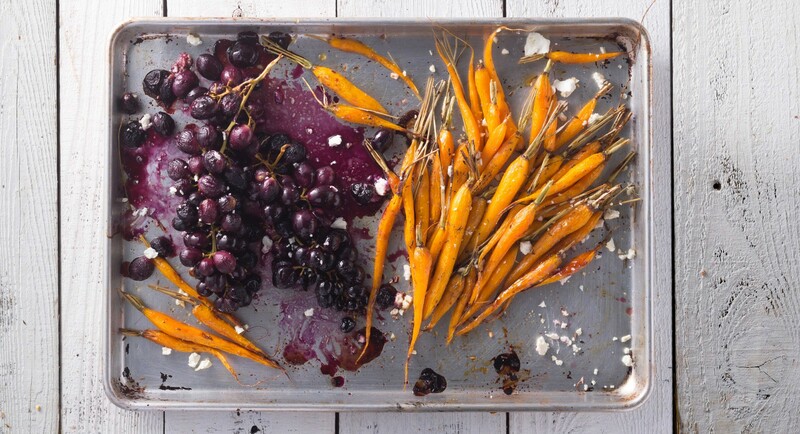 Spread out on baking sheet and roast in oven 25 minutes until carrots are caramelized.